Ruthiebear (Titusville, NJ, United States) on 8 January 2019 in Landscape & Rural. L'hiver dans toute sa splendeur ! la nature est capable de créer la beauté. A real cold one Ruthie. Very nice detail. 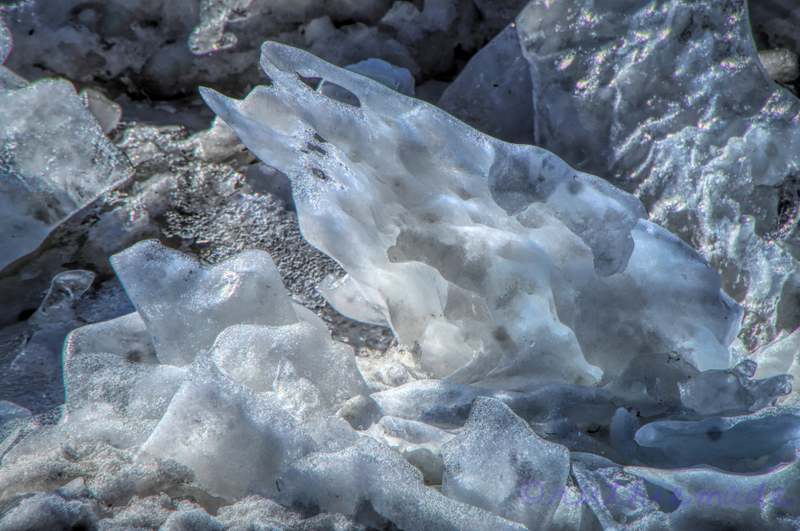 What an unusual work of art that nature provides us in the form of ice! A great find! That looks really crispy !! !Wonderful image of the frozen water ! Superb light that really accentuates the delicate details. A fine, cold looking picture that is very successful. A beautiful photo, fine exposure and sharpness. So cold, it makes me shiver. A gorgeous close up with wonderful detail. It looks cold! We are supposed to get snow this weekend supposedly. Formes, déformes, une image abstraite tout à fait réussie. Beautiful formations that does not occur that often.